Testosterone BoostersHi Tec Black Devil - 240 kaps. 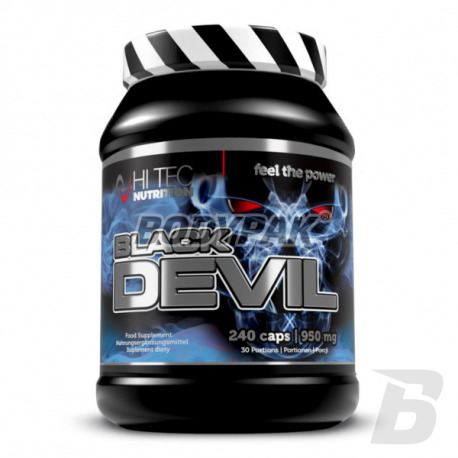 Hi Tec Black Devil through a combination of natural ingredients conjure a sharp increase in the level of testosterone in the body of the young athlete. DAA, unlike prohormones and anabolic steroids, does not cause blocking of the hypothalamic-pituitary-testes, so that helps libido and sexual function in young men, au athletes and the cycle keeps the natural production of testosterone, the sensitivity of nuclei to the pituitary hormones, and also retains the features and size of nuclei. DAA at the same time stimulates the secretion of growth hormone, thanks so defined builds lean muscle mass. 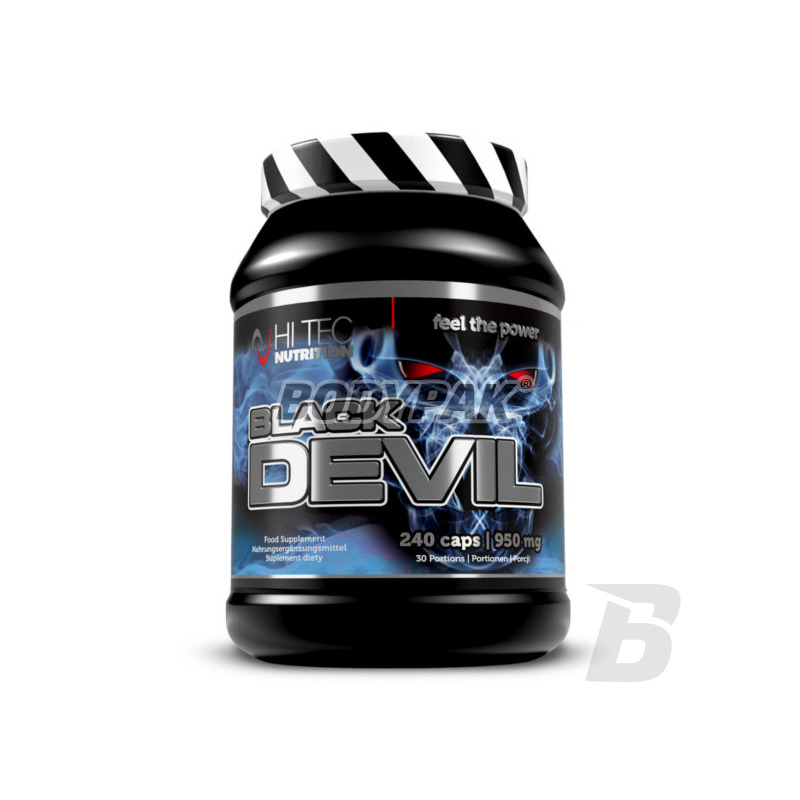 In order to increase the effectiveness of DAA Hi-Tec Black Devil contains a set of steroid saponins of Tribulus and Fenugreek, which provide maximum synthesis and use of testosterone by the body. Vitamin-mineral ZMA provides a reduction in the synthesis of harmful DHT from testosterone, and also improves night manufacture and operation of all known anabolic hormones: testosterone, GH, IGF-1. Excellent after-workout recovery and quicker adaptation to increasing training loads is achieved by supplementing the composition of Black Devil extract of poppies ie. Peruvian ginseng. Daily dose: 2x 4 caps. Ingredients: D-asapraginowy acid, an extract from the root of Lepidium meyenii flour, fruit extract puncturevine natural Tribulus terrestris, capsule (edible gelatine - sheath component, color - titanium dioxide). fenugreek extract Trigonella graecum-fenum, magnesium salts of citric acid, magnesium salts of fatty acids - substance, l-methionine sulfate, zinc, pyridoxine hydrochloride.